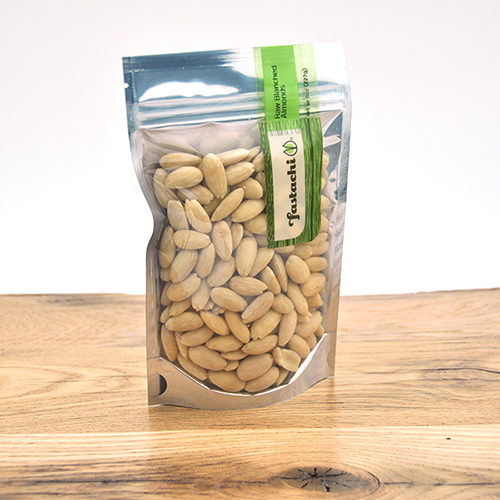 Raw blanched whole almonds make an excellent addition to any recipe or a tasty healthy snack for any occasion. Almonds are a rich source of vitamin E, manganese, calcium, magnesium, copper, riboflavin (vitamin B2), and phosphorus to name a few. 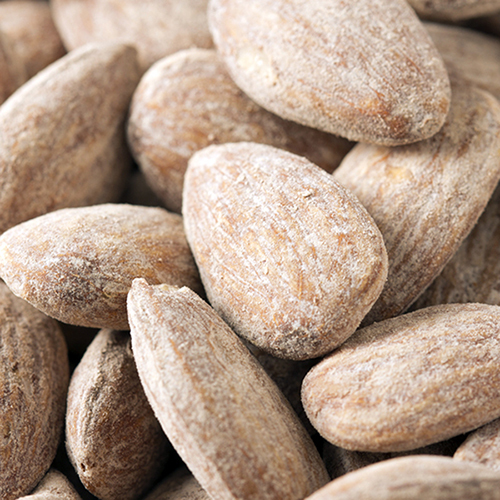 They're perfect for soaking, blending, or just enjoying in their naturally raw or roasted state; Almonds are a wonderful addition to a variety of recipes from salads to baked goods to desserts. 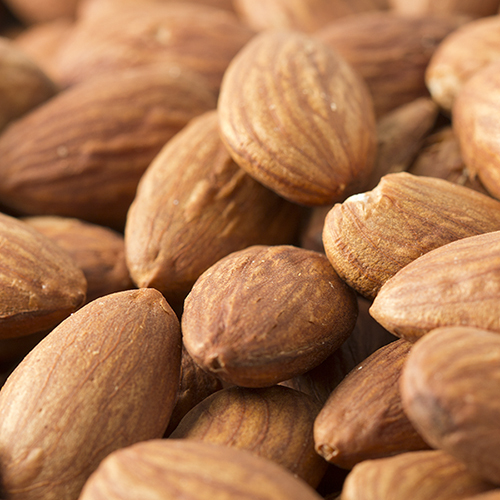 A one-ounce serving of almonds provides 75 milligrams of calcium (the highest of all nuts), 35 percent of your daily requirement for Vitamin E, 76 milligrams of magnesium and 200 milligrams of potassium. They are also loaded with fiber and healthy fats. 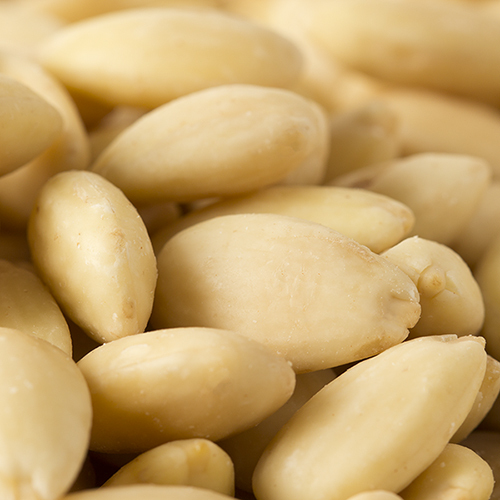 Almonds help lower cholesterol and reduce the risk of heart disease, and can help protect against diabetes. NUTRITION FACTS: Serv. Size: About 1/4 cup(30g). Amount Per Serving: Calories 180, Fat Cal. 140, Total Fat 15g (23% DV), Sat. Fat 1g (5% DV), Trans Fat 0g, Cholest. 0mg (0% DV), Sodium 0mg (0% DV), Total Carb. 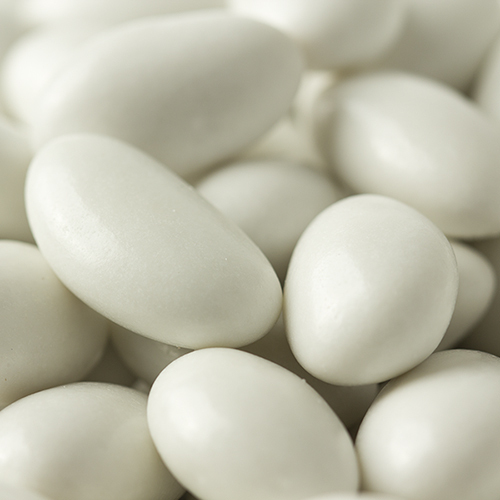 5g (2% DV), Dietary Fiber 3g (14% DV), Sugars 1g, Protein 7g, Calcium (8% DV), Iron (6% DV). Not a significant source of Cholest., Sodium, Vitamin A or Vitamin C. Percent Daily Values (DV) are based on a 2,000 calorie diet.